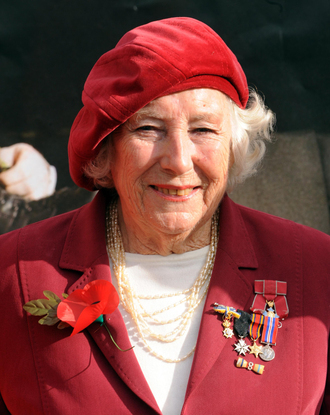 Dame Vera Lynn is on course to beat her younger rivals by claiming thebest-selling female artist album released this year. The Forces Sweetheart looks set to claim the trophy at the age of 100, triumphing over the likes of Dua Lipa and Zara Larsson. Her latest album, 100, also outperformed releases from Lana Del Rey and Imelda May. Only two albums by female artists - Little Mix's Glory Days and Adele's 25 - sold more. But they were released in 2016 and 2015 respectively, giving Dame Vera the âbiggest female albumâ to have come out so far this year, according to the Official Charts Company. It is yet to be seen whether she can hold on to the title, with albums from the likes of Taylor Swift, Pink and Kelly Clarkson to be released. Dame Vera's release went to number three, making her the oldest living artist to score a top 10 album on the Official Album Charts. The album is the 28th best seller of the year overall in the chart, which combinesphysical and download sales with streams. Ed Sheeran's Shape Of You is the biggest single of the year so far. The only other tracks to have also broken the three million combined sales mark in history are Band Aid's Do They Know It's Christmas? and Elton John's Candle In The Wind. Shape Of You is the UK's most streamed song of all time. Sheeran's Divide album is the fastest-selling male artist album of all time. More than 20 songs by British-born acts, including Sheeran, Rag 'n' Bone Man and London DJ Jax Jones, are in the top 40 singles of 2017 so far.